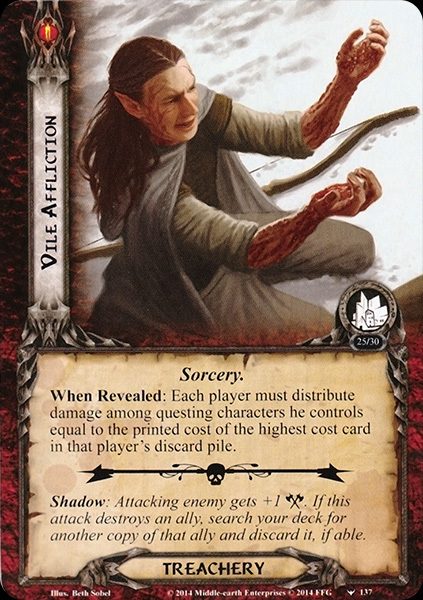 When Revealed: Each player must distribute damage among questing characters equal to the printed cost of the highest cost card in that player's discard pile. Shadow: Attacking enemy gets +1 . If this attack destroys an ally, search your deck for another copy of that ally and discard it, if able.